Gas line repair cannot be postponed. A gas line leak is potentially dangerous and needs to be resolved quickly. Additionally, this repair work requires that you hire a licensed plumber. It is imperative that gas work, installation, refitting and all other aspects are done by qualified professional plumbing contractors. Leaking gas can lead to asphyxiation and dangerous explosions. Luckily, commercial gasses, such as the kind a gas stove or heater uses, have a strong odor added to them so that leaks can be more easily detected by homeowners. If you smell a gas leak in your home, you need to act quickly – contact Abacus Plumbing NOW at 713-766-3605713-766-3605. Also, alert your gas provider. At Abacus Plumbing, we have highly experienced plumbers that can test and locate leaks within your plumbing system using a variety of techniques. We can have gas leaks fixed efficiently and quickly. We’ll also take care of any city / state permitting that may be required. Additionally, we can provide monitors for your home, so that you’ll know more quickly if there is a threat to your family. 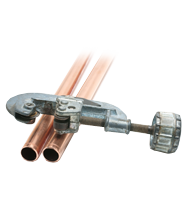 Whether it is gas line installation for a new gas stove or installing gas logs in your fire place, Abacus Plumbing is the right choice for your gas piping needs. 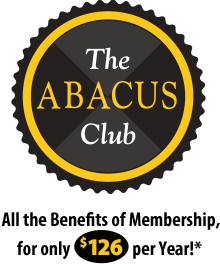 Abacus Plumbing offers an annual plumbing maintenance program – Abacus Club. Each year, a plumber will perform an inspection, looking for everything from trouble garbage disposals, dripping kitchen and bathroom faucets to slab leaks that can cause your home’s foundation to shift or crack. Better yet, as a member of the program, you’ll enjoy discounts on parts and labor, priority scheduling at no additional cost, and Abacus Plumbing will contact you to schedule the annual maintenance visits. It’s a hassle-free plumbing inspection program that ensures your home’s plumbing network is operating safely and at peak efficiency.